but all you marketing people, you should pay attention. because THIS is truly how word of mouth works. here we have DRINK NEURO. now, i have seen them in the grocery stores a lot lately. i paid them attention to them at first because i liked their bright, fun colors. and i liked the shape of the bottle. it was different. SEE- PACKAGING TOTALLY WORKS. but we know this already, because i posted years ago about buying herbal essence because their new bottles were pretty! remember that?! yeah. packaing.sucker. so... carry on to me forgetting about the drinks. or not wanting to try them because they were pricey. even though i would LOOK at them everytime i passed them in the store, i was never really pulled to BUY any of them. cut to twitter. and my buddy Matt posting about this stupid drink on it. so then i was like, "hmmmm, what is this drink all about? maybe i'll REALLY check it out the next time i go to the store." but then i let that thought go and sort of forgot about it. cut (again, yes. we're doing a lot of cutting. it's fun for me.) to an impromptu get together a few days later at a friends house. and her teenage daughter (who i LOVE, WORSHIP and ADORE!) starts talking about the dang neuro drinks! she says how they are her most favorite drinks ever, she drinks them all the time, she LOVES them, they are so good, etc. and that my folks, was all it took. 2 people who i know talking about the same brand of drink within about a 3 day time period. so far i've tried 3 of them (sleep, sonic and sun). and up to now, THIS one is my most fave. it's freaking delicious!!! and i half wonder if i love it the most because it was the first one i tried? i dunno, all i do know is that it's really yummy. and i didn't even want to buy it to be honest. i thought it sounded stupid. but the boy wanted it. he said i HAD to get it. so of course i love the one the most that was the least appealing to me. HA! was there a lesson to be learned here? probably for marketers everywhere. 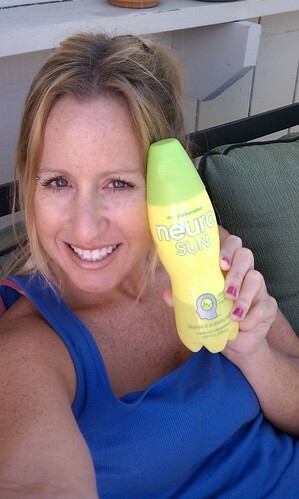 and matt, i hope you get buttloads of cases of neuro sleep (and send the NEURO SUN's to meeeee) for free! and um, if you're in the market for a new drink... you should try them out. and i should mention that i did drink a sleep before bed (i thought the taste was EH. i mean, not awful by any means, just not super yummy like SUN) and i feel like i slept more soundly than i have in weeks. but that could be the exhaustion setting in? or maybe the drink really does work? I haven't seen these yet. anon- NON alcoholic is correct! some of them say not to give to kids under 12 though- might be the ingredients in them (i assume)..
You're absolutely right - this is how word of mouth works.. and 100% because you weren't being paid to do it. If you had been "sponsored" I never would have ordered them. They aren't sold in the South yet evidently but Amazon is sending me a multi pack with free shipping. Can't wait to see the husband's eyes roll when they arrive. I haven't seen these here yet, but was wondering if they come in sugar free? If I see 'em, I'll be sure to check 'em out!